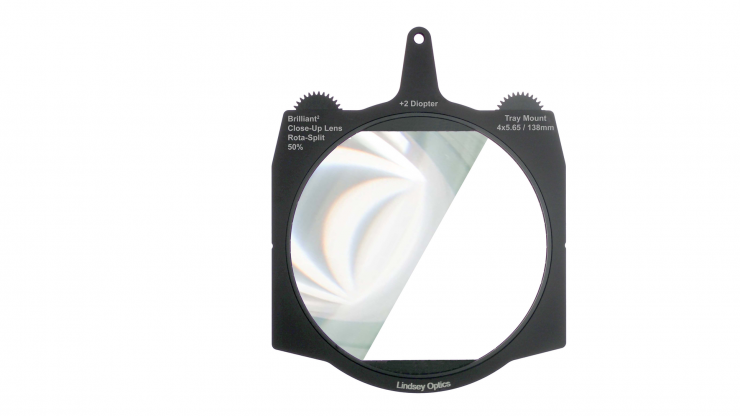 The Lindsey Optics Brilliant² Tray Mount Rota-Split Filters for 4×5.65” cine matte boxes have just been announced. Split Filters are quite a niche product, but they do allow you to create some pretty interesting in-camera effects. 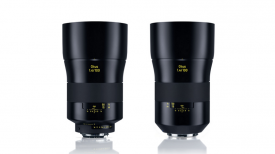 Split field close-up lenses are used to create dramatic near/far deep focus effects in a scene. The near object is seen through the 50% cut lens and the more distant objects are imaged through the blank space in the filter. The cut edge of the lens is usually aligned with an edge in the scene such as a table edge, a door frame, building edge or a tree trunk. This hides the transition line and creates a seamless deep focus effect. Instead of having to rack focus between a nearby subject and a distant subject, both close and distant focal planes will be sharply focused at the same time if you use a Split Filter. Directors and cinematographers such as Brian De Palma and Quentin Tarantino have used Split Filters in their films. Films that have used Split Filters include, Reservoir Dogs, Unforgiven, All the President’s Men, and Star Trek: The Motion Picture. 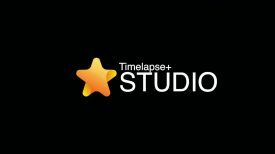 The new Geared Rotating Brilliant² Rota-Split Filters are Split Field Rotating Close-Up Lenses that fit directly into most professional 4×5.65″ Matte Boxes. 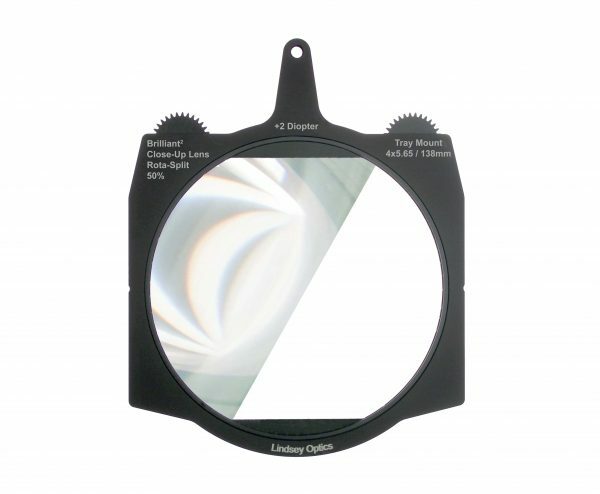 The Lindsey Optics 138mm Drop-In Close-Up lenses have been cut in half and mounted in a geared rotating tray for quick and easy alignment of the split line. The filters frames are equipped with standard 0.8t thumbwheel gears so that the Rota-Split filters can be motorized for wireless control. Several positions can be preset for fast changes or the split line can be moved during a shot for unique visual effects. 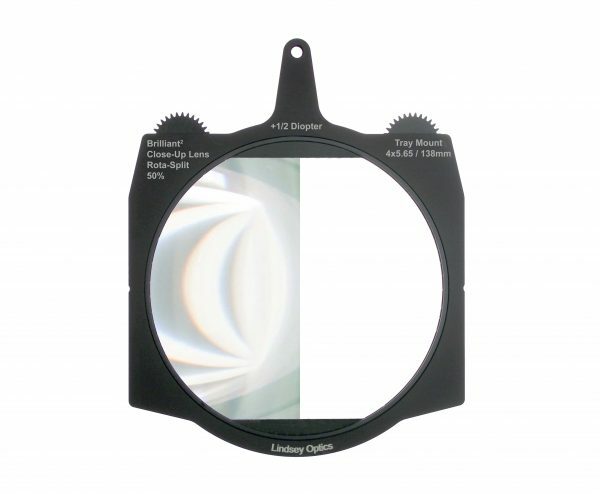 The full range of Brilliant² Rota-Split filters includes values of +1/4 diopter, +1/2 diopter, +1 diopter, +2 diopter, and +3 diopter. The +1/4, +1/2 and +1 values fit in one matte box slot. 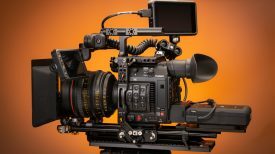 The +2 value uses 2 slots and the +3 value uses 3 matte box slots. All Brilliant² Tray Mount and Tray Mount Rota-Split Close-Up Lenses have a Broadband Multi-Layer Anti-Reflection Coating (MC Coating) that reduces reflections from the lens preventing unwanted ghost images and reducing stray light (flare). The Brilliant² Tray Mount Rota-Split Filters for 4×5.65” cine matte boxes retail for $675 USD and are now shipping. Have you ever used a Split Filter before? Let us know in the comments section below.